Home » How Does a Student Loan Actually Affect My Credit Score? Do you currently have student loans? Have you ever wondered how they are affecting your credit score? I know I have. Is it possible that those student loans are actually hurting your credit? Or, is it a benefit to have student loans at the ripe age of 18, because they are providing the creditors with your early credit history? Let’s find out! When it all comes down to it, there are two types of credit in this world: revolving credit and installment credit. Revolving credit is a loan amount that can continually go up or down, depending on your purchases. A credit card is an excellent example of revolving credit. Based on your purchases, you could have a credit card balance of $1,000 one month, and then a balance of $2,800 in the next month. You are allowed to freely add to and detract (or pay down the balance of) your loan as you wish (but only up to your limit of course). Therefore, the balance is revolving. Installment credit is typically a one-time loan that you pay back to the bank in installments — in other words, monthly payments — until you pay back the balance of the loan. Common examples of installment loans are car loans and house loans. You borrow the full amount from the bank and agree to pay back the loan with regular monthly payments. Neither revolving credit nor installment credit is inherently bad. As long as you make your payments on time, each form of debt is typically increasing (or at least maintaining) your credit score. In my opinion however, if someone were hoping to improve their credit score and was going to do it with one of these two options, I would encourage them to take on installment credit. Not only will this move help their credit score with their timely payments, but they won’t have to think too hard about borrowing too much on revolving credit (because if you use more than 20% of your overall limit, your score is likely going down). So what about student loans? Where do they fall within the pool of credit? As you may have already guessed, student loans are classified as installment credit because they function more like a car loan or house loan rather than a credit card. But remember, unlike a car loan or a house loan, a student loan is an IOU on your financial future. The collateral for the loan is your future earnings, and if you don’t pay it back, the government will garnish your wages and even your Social Security check to get their money. You may be surprised to learn this, but some credit agencies raise or lower your credit score based on what you are purchasing with your loan. For instance, if you are going out and spending a bunch of the bank’s money on depreciating assets (like a boat, a car, a WaveRunner, etc. ), then the bank might reduce your score by a few points because your assets will not help you pay back the loan if you face hardships in the future. If, however, you are purchasing a house or business assets with the bank’s money, then they might give you a few extra points because you are using their money to increase your assets and your net worth, which means a higher likelihood of repayment. Because student loans are used to improve your knowledge and increase your future pay, they are almost always thought of as good debt, so banks think more highly of you for taking on this additional debt load. 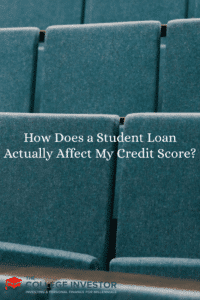 So, not only are you increasing your score with your regular payments (which is building up your spotless credit history), but your score may increase a little more because you are utilizing the bank’s money to improve your income in the future. First, do you even know what your credit score is? Now’s the perfect time to check your credit score with a free service like Credit Karma. I recommend using them because they are truly free, and don’t even require you to put in a credit card to check. Once you know your score, you can take action! So what if you are having a difficult time paying back your student loans? You are considering deferment or forbearance, but you are worried that this is going to reduce your credit score. While it seems like this would be true, deferring your payments actually has little to no impact on your score. 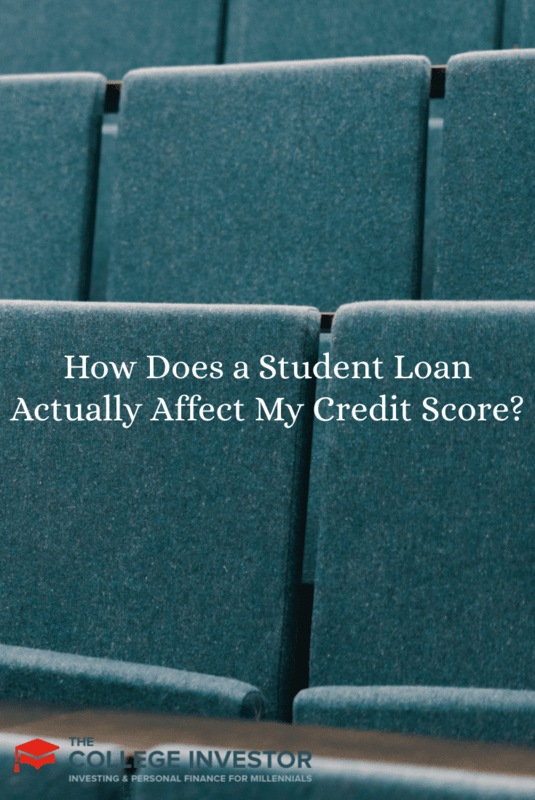 If you are currently delinquent with your student loans and have not made payments in quite some time, this is certainly hurting your credit score. However, if you work with the loan agency and find a way to start making payments again, this can improve your score immensely! As an overview, student loans can have a great impact on your credit score, but be sure to only use them as you need them. There are too many stories of people taking on too much student loan debt and not being able to pay them back. Be wise in your credit use so that you can repay the bank (or government) with ease. Have you taken out student loan debt? Have you noticed a change in your credit score because of it?